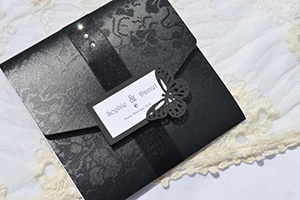 Our pocketfold invitations are elegant and practical. They are made from top quality card stock in a variety of finishes including textured broderie and tapestry card. These invitations allow you to have up to 5 inserts with all your guests' information, inserted into the handy pockets. Colour schemes are flexible in most of the designs. 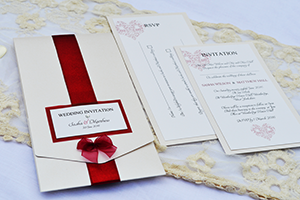 Click on the images below to see more about each format of pocketfold invitation.